Many young people are burdened by big dreams. Burdened because, life tends to give reasons why big dreams are not practicable. For this reason, when Nike tells us that ‘impossible is nothing’, we would rather listen to circumstances that affirm otherwise. You see, I too have sacrificed several dreams at the altar of rationalism. Against better judgment, many of us have stopped listening to Nike. For many, ‘impossible is something.’ Impossible is something to be acquainted with – for sanity’s sake. It is important to realise that impossible is often the lazy way out; it gives us an excuse not to try – not to strain our potential when opportune. Take Mayowa; going into the final year of his University degree, he was a borderline third-classification student. Those familiar with the UK system understand how disastrous such a grade is. Many companies operate a filter which excludes individuals with that grade and, academic institutions are inflexible in accepting it as an adequate qualification for further studies. The golden chalice is often a second-class upper grade, and above. As an international student, such a grade is even more dissatisfying, when considered in light of the expensive international student tuition fees. This was Mayowa’s reality. Although Mayowa resolved to rectify his grades in the final year – everyone explained the impossibility of the task to him. Even his lecturers emphasised the impossibility of his dream. In a nutshell, their views were in consensus: his dream was unattainable. 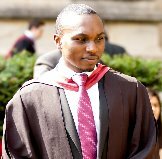 For a second-class upper classification, Mayowa would need to achieve very high first class grades in all his final year modules – a difficult feat even for the brightest and most dedicated students. In essence, this was mission impossible. But Mayowa triumphed. With sheer determination, hard work, and the grace of God, he achieved what everyone else considered impossible. Mayowa was able to graduate with a second-class upper honours degree. Mayowa exhibited the only form of stubbornness I encourage – confidence in a goal. The rest as they say is history. But this is not the end. In my pieces, I consistently advocate for young people not to delegate ‘impact’ to external forces. Mayowa exemplifies this charge. Monetary benefits are not the only ways to better the lives of others. In the final year of his university degree, Mayowa faced many struggles for which he could not find capable coaches or tips tailored to his specific situation. Mayowa therefore resolved to solve this problem for others. This is noble, for it is not enough for one to overcome personal struggles, we must ensure others can learn from our experience. Surely, if this ideal is inculcated by more young persons, many of our problems will be solved. A few months back, in London, Mayowa explained to me that he was going to write a book. The book was to adequately address most of the fears he faced in achieving his dream, and the practical steps he took. I found his thoughts very beneficial, indeed, the conversation was enjoyable. But I harboured doubt on execution. I have conversed with many people on such matters, and these thought are often stuck in the pipeline for many years. This was not the case with Mayowa. Within a few months, Mayowa called to inform that the first draft was ready! This is not a matter of rushing, but efficiency. I have taken the liberty to read the book, and the thoughts espoused are very timely for young students at varying levels of their educational pursuits. In fact, the principles are those which extend to work and personal life. I am overjoyed that many people will learn from Mayowa’s experiences, and even more gladdened that he chose to pen this in order to inspire and impact. I don’t demand that you copy Mayowa. No! All I demand is for you to pursue success, and when you find it, make sure others succeed also, because of you. Free copies of this book are available at: http://www.quarterlifewithoutlimits.com Where Mayowa also releases weekly motivational videos. He can be contacted on twitter @mayo_osh78. Previous Post Is Your ‘Emerging Market’ Securely Fashionable?